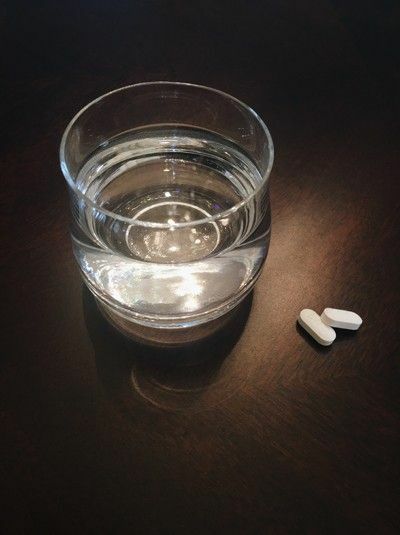 Many individuals use aspirin, ibuprofen, Motrin, or other NSAIDs without a second thought. Daily aspirin intake is oftentimes recommended by physicians to reduce stroke and heart attack risk. Potential side effects may briefly be explained to the patient, but it’s unlikely the full scope of injury is understood. NSAIDs have significant side effects that affect the digestive tract in addition to other parts of the body. In an attempt to buffer the side effects, proton pump inhibitors (PPIs) or acid blocking drugs are often prescribed with the NSAIDs. Science shows us the dark-side of these medications. NSAIDs are deemed as safe, however acute critical and chronic subtle adverse effects impact the body. In this article, I will focus on the chronic gut effects and mitochondrial damage that may be affecting you and how you can keep your gut healthy. NSAIDs (non-steroidal anti-inflammatory drugs) are some of the most commonly used pain-relieving drugs in the world. NSAIDs block pain, lower fever, and reduce swelling. They accomplish this by blocking the enzymes Cox-1 and Cox-2 which make prostaglandins that lead to pain, swelling, and inflammation. NSAIDs are available over-the-counter and by prescription and include aspirin (Bufferin, Bayer, Excedrin), ibuprofen (Advil, Motril, Nuprin) ketoprofen (Actron, Orudis), naproxen (Aleve), Celebrex, Daypro, Indocin, Lodine, Naprosyn, Relafen, Vimovo, and Voltaren. Ulcers and stomach damage occur from NSAIDs because of their effects on the Cox enzymes. Many NSAIDs are prostaglandin and cox-enzyme inhibitors which blocks pain and swelling. But these same compounds are needed in the digestive tract for defense in the small intestine. Scientists have figured out that when prostaglandins are blocked, then ulcers and GI bleeds occur, protein loss, strictures develop, and even perforations of the gut occur. NSAIDs adverse effects impact more than just the stomach and stomach ulcers. Over 20 years ago, it was recognized that NSAIDs “have profound effects on the small intestine”. A study published February 1996 reported that “NSAIDs cause quite distinct and severe biochemical damage during drug absorption (uncoupling of mitochondrial oxidative phosphorylation proving to be most important) which results in increased intestinal permeability.” It was felt at the time that aspirin was not associated with changes in gut permeability. It was also noted that long-term use of NSAIDs required months of repair and recovery as the tissues did not quickly bounce back. In 1999, a study noted that poor diagnostic tools were problematic for evaluating NSAIDs effect on the small intestine. However, it was noted that NSAIDs use created a low-grade “NSAID-enteropathy”. This was a term introduced to describe the damaging effects of NSAIDs on the intestinal tract. NSAIDs enteropathy is described as a syndrome linked with increased intestinal permeability (leaky gut syndrome), low-grade inflammation, blood loss (iron deficiency anemia) and protein loss (low albumin levels). NSAIDS injure this delicate epithelial layer as it causes erosions or sloughing off of the lining and leads to perforations and ulcers within the small intestine. NSAIDs also adversely affect phospholipids, which are necessary fats for cell membranes within the epithelial lining which help keep the intestinal mucus barrier intact. Mitochondrial damage is another dark-side of NSAID-induced injury. NSAIDs, including aspirin, damage mitochondria as it leads to uncoupling or a breakdown of oxidative phosphorylation, the process used by mitochondria to make energy or ATP. Mitochondria are little organelles found in virtually all our cells. They produce chemical energy or ATP in the process of burning up food via oxidative phosphorylation which requires oxygen. Mitochondrial do other things too like break down and recycle waste products to help reduce toxicity and conserve energy. Damage to the oxidative phosphorylation process results in increased levels of toxic reactive oxygen species (ROS) or free radicals. Failure of the electron transport chain occurs and leads to suppressed ATP production or loss of energy and induces cell death. Think about this - NSAIDs are designed to help manage inflammation, but the reality is they create another inflammatory mess, i.e. NSAIDs-enteropathy. NSAIDs side effects not only run deeper than previously understood, but the number of individuals affected by adverse drug-effects is much higher than thought. In fact, some studies show since the advent of the pill cam used in GI testing an estimated 40-90% of NSAID users had injury to their small intestine seen as erosion or ulcer that could lead to bleeding, perforation, or other types of damage to the gut. Mitochondrial stress will not be seen on any imaging study. Rather it will be felt in a variety of ways. Learn more about mitochondria injury in the article Mitochondria – Drugs that Injure and What Mitochondria Injury Looks Like. When your physician ordered you to take aspirin or other NSAIDs every day, did they warn you about any of these concerns? Proton-pump inhibitors (PPIs) or acid blocking drugs are often prescribed along with NSAIDs. The intention is that these acid blocking drugs will protect the stomach and duodenum, the first part of the small intestine from NSAIDs drug injury. Evidence says otherwise. A 2014 study concluded “it is becoming clear that suppression of gastric acid secretion significantly worsens NSAID-enteropathy”. Similar to previous findings, the Journal Pharmacological Toxicological Methods March-April 2016 proved that the use of NSAIDs with PPIs alone or together caused negative changes in both the stomach and small bowel. In an animal model that simulated common human clinical experience, scientists found the presence of multiple erosive lesions or ulcers present in the stomach and small intestine in animals treated with NSAIDs and PPIs. Additional findings showed lab values consistent with poor digestion, malabsorption, anemia, decreased hemoglobin, hematocrit, serum albumin, and serum total protein levels. Increased intestinal gut permeability or leaky gut syndrome was also found with both NSAIDs and PPIs use. The conclusion of the article – “this paper provides yet another evidence for PPI induced exacerbation of NSAID enteropathy.” The walking wounded get sicker. If these meds aren’t enough to rip holes in your gut and damage cellular energy production, emotional or psychological stress worsens NSAIDs damage to the small intestine. A study published in the Journal of Gastroenterology January 2017 showed that psychological stress exacerbates the NSAIDs-induced gut changes because of the stress hormone cortisol. In addition, higher amounts of gram negative bacteria were found in the small intestine as well as increased intestinal permeability. (Increased bacteria in the gut is known as SIBO/small intestinal bacteria overgrowth). Given the amounts of ongoing chronic stress and concomitant use of NSAIDs, this certainly adds to the conundrum. Probiotics: beneficial bacteria are essential for gut health and keeping a healthy balance of flora in the digestive tract. NSAIDs, antibiotics, stress, and processed foods disturb and kill off beneficial bacteria. We provide hardy strains of probiotics that can withstand stomach acid. Quercetin: this natural flavonoid from apples and onions helps modulate damage to the inner lining of the gut wall. It helps naturally manage inflammation and allergies too. It quenches free radicals and buffers against stress in the digestive tract. Glutamine: this amino acid is essential to repair gut lining and reduction of increased intestinal permeability. Glutamine provides critical food for gut health and restoration. It also helps support muscle energy and helps protect the gut from stress. Mitochondria also use glutamine as a fuel. Caprylic Acid: this natural compound is derived from coconut oil. It provides gentle gut flora modulation by keeping a healthy balance between good bacteria and other gut flora. Pine Nut Oil: this oil helps a number of concerns in the body. It helps platelets flow more easily in the blood stream helping to prevent them from sticking together. Pine Nut Oil also supports the lining of the digestive tract by calming down gut stress and inflammation. Coenzyme Q10: This antioxidant is well known for its stellar antioxidant support. Mitochondria require coenzyme Q10 to function and for protection. Coenzyme Q10 also helps repair intestinal permeability and offset free radical damage. Quality matters with coenzyme Q10. We only the highest grade crystal-free Japanese coenzyme Q10 in fat and water-soluble forms.